Sofa buying takes time and effort, do we trawl the shops or go blind with an internet purchase. Glup, how on earth are we going to tell if its the right one? Will it fit through the door? Will it be the right colour and most important of all, will it be comfy? Gosh. How do you combine comfy with style?! Well velvet is the must-have fabric of the moment, and don’t be afraid of this. We’re not talking old fashioned draylon or crushed velvet just amazing sumptuous luxury. 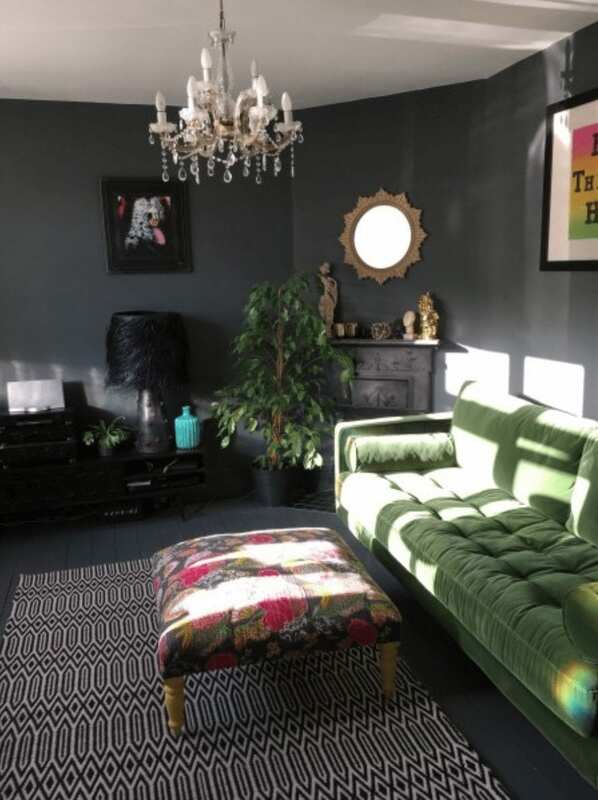 Green is one of the colours of the moment in the sofa world, so I am going to show you a few that I think fit the bill and worth having a peek at – the Green Velvet Sofa. I have combined different price points but not any sale prices. 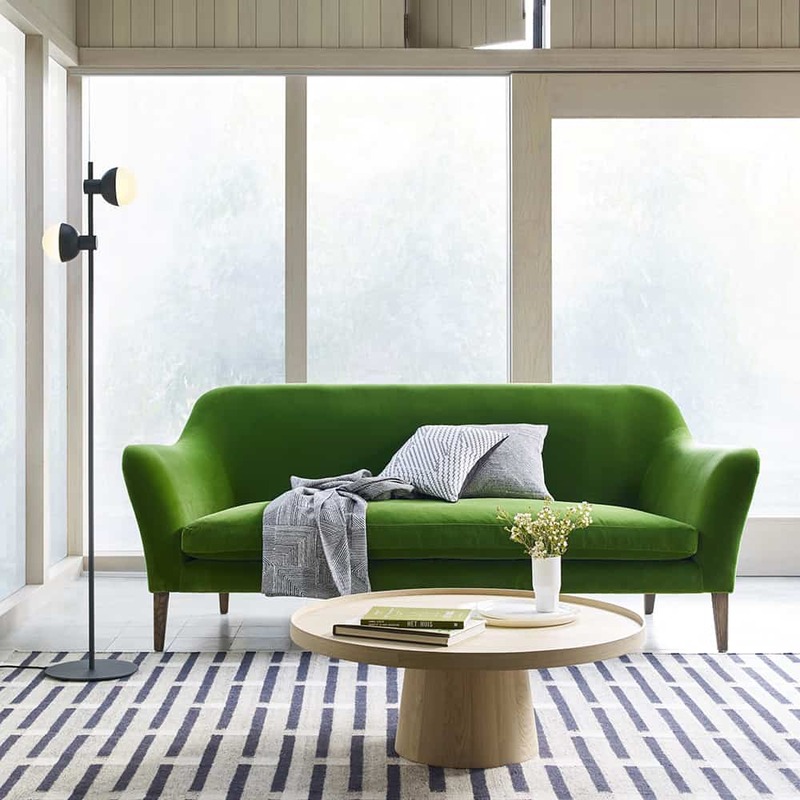 The Inspiration behind this Scott vintage sofa from www.made.com is a subtle nod to mid century, and that is why we love it. 3 seater in Grass cotton velvet £999.00. And doesn’t it look grand against a grey backdrop! Another gem from Made is the Connor an uncomplicated and fuss free and very handsome, just like the husband, in olive cotton velvet, not like the husband. 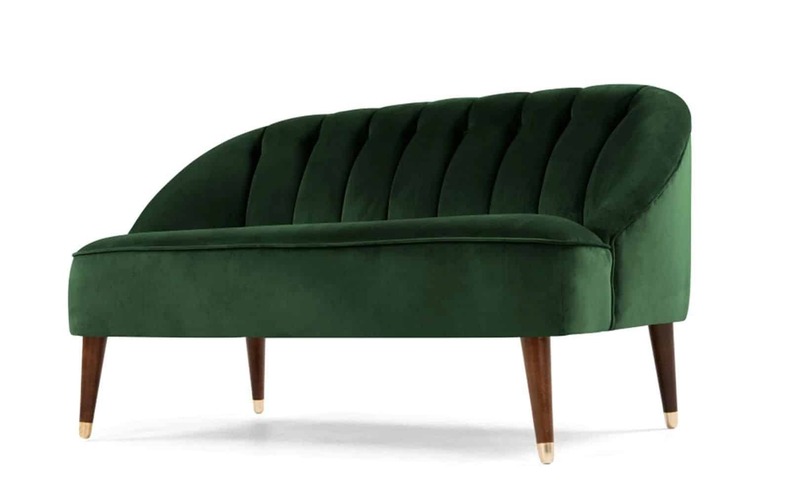 We had to mention the Hendricks, and we all know where this sumptuous emerald green velvet three seater sofa comes from! With its low wide arms and soft deep cushions with button detailing, first seen on a very cheeky advert in orange, yep of course it’s Habitat. Next up with this beautiful sofa from Heals. 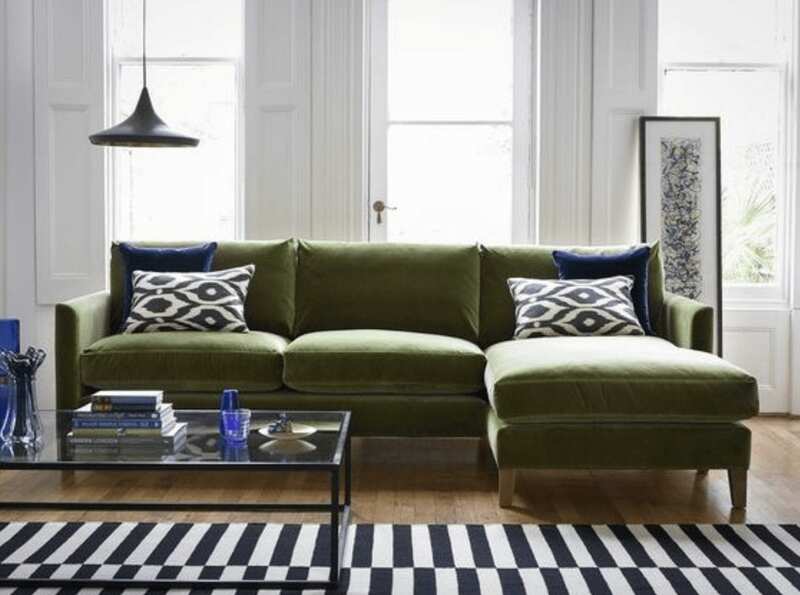 Its the glorious Wallis Sofa, an exciting new collaboration between Heal’s and acclaimed designer Russell Pinch. In designing this exclusive piece, Pinch was tasked to create a compact yet generous sofa that echoes classic shapes. The result is the Wallis, a considered design whose discreet luxury resonates with Pinch’s trademark style. Now this is just a little snapshot of some of the amazing finds out there on the high street. Don’t forget to look at The Izzy from Sofa.com a lovely three seater sofa in Olive pure cotton matt velvet. Straight edge frame in a contemporary style perfect for simple living. 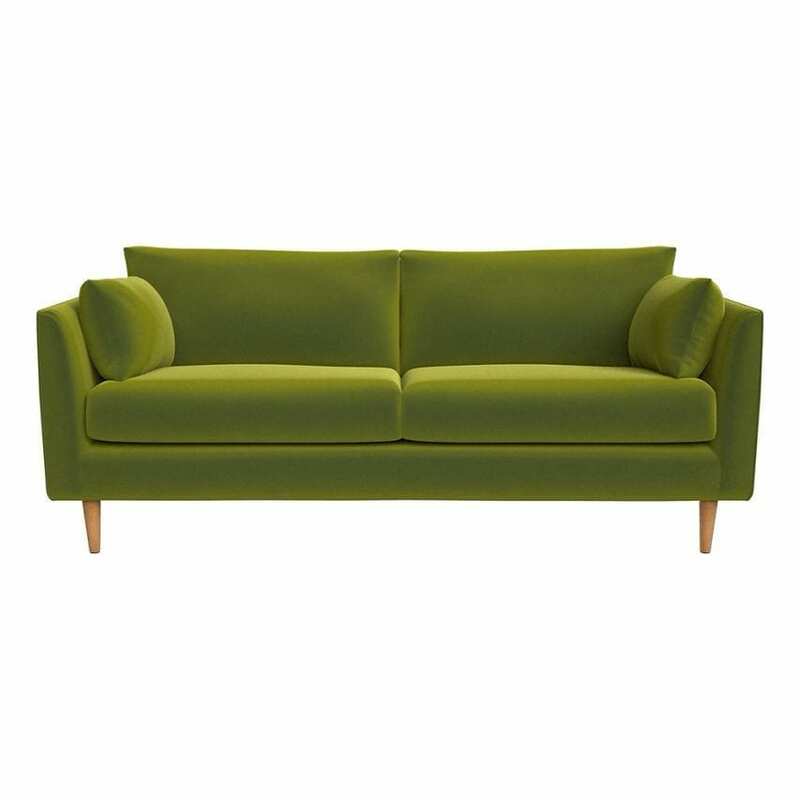 The Munich with its sleek, contemporary 3 seater in fern from Swoon Editions. 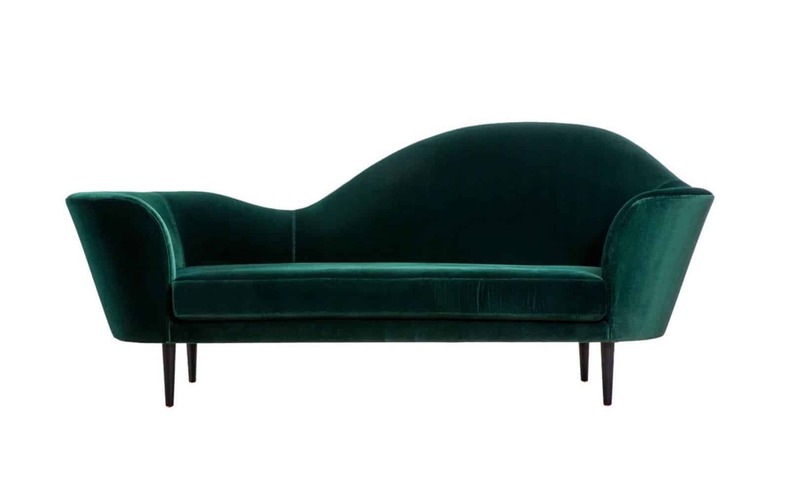 A gorgeous little two-seater sofa in a beautiful deep green. 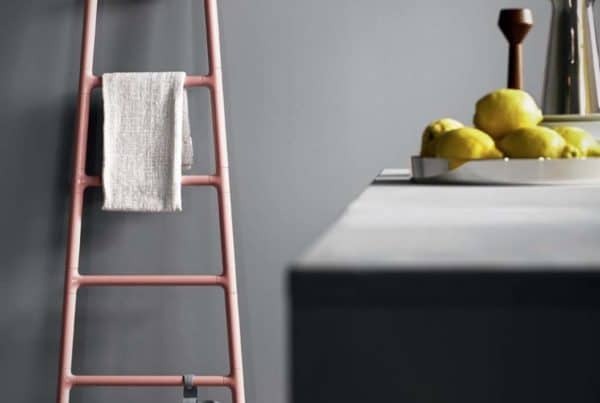 A really practical size for a smaller space and a great colour that isn’t too in-your-face for your first dip into green. Great price too! Wow wow wow. Need I say any more? This beautiful statement sofa is a dream for the eye. A statement but definitely an investment. Perhaps don’t sit on it? 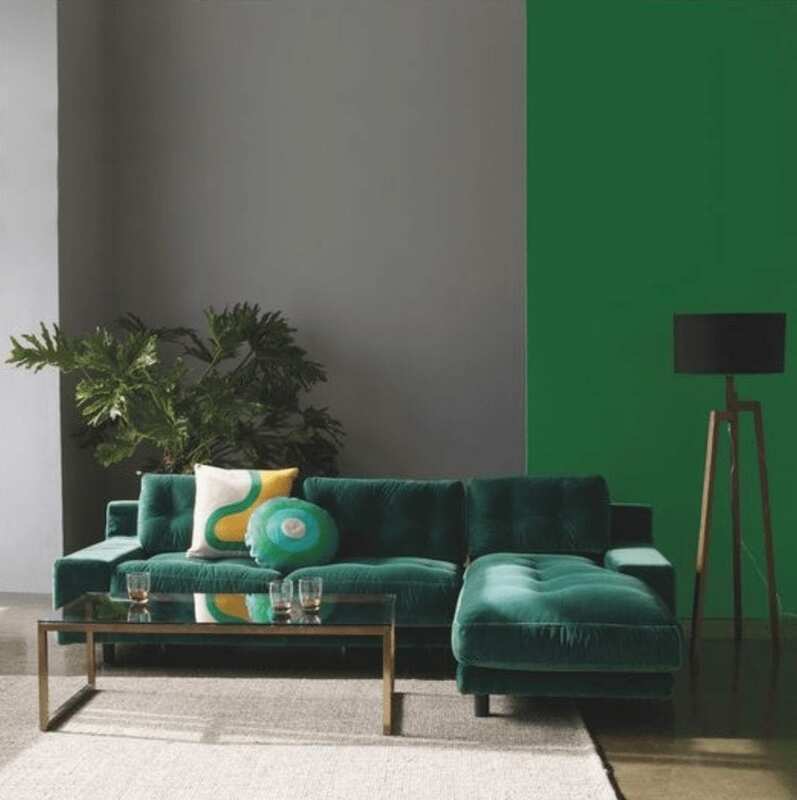 The Ravello is a great sofa and available in loads of colours and a deeper green if this bright isn’t quite for you! Small arms make it a great fit into a smaller space. The velvet is soft and we’re told it wares well. A good price for a 3 seater! Not just looking for green? 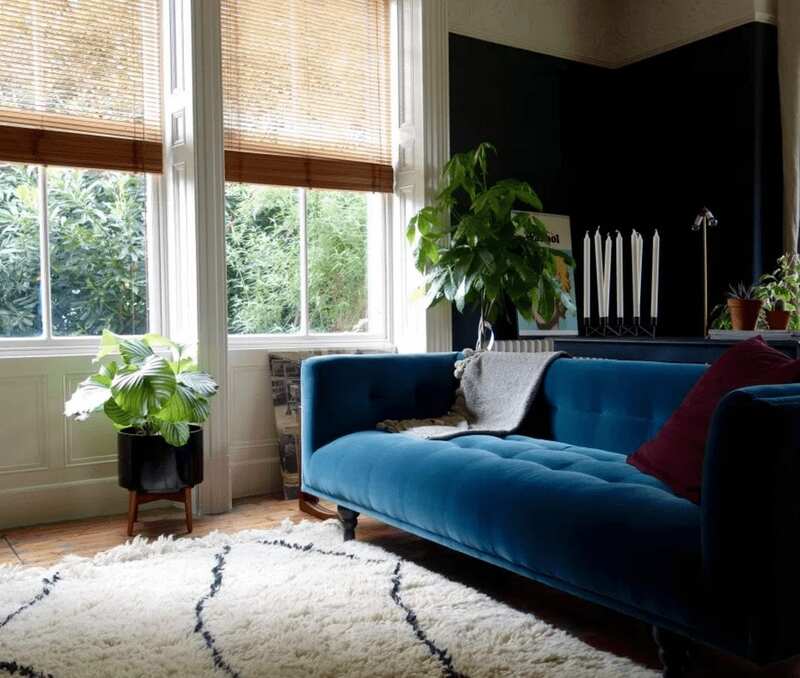 If you’re not just thinking about green why not check out our general velvet sofa blog post? Link below! Brilliant! Just sent the link to this blog to my client. We are looking for great value but gorgeous sofas. In green. Velvet. This was a lucky find, thank you.